I had my work-from-home job search down to a science. My template style resume was easily updated by swapping out a few words based on the job I was applying to. From start to finish, I could apply to a single listing in just a few minutes. So simple, right? It was. But simple doesn’t necessarily mean effective. In fact, there would be some weekends I’d apply to a dozen job leads. Six months into my search, I had hit well into the hundreds. And you know how many of those resulted in an interview? That’s right, not a single callback after hundreds of applications. My resume template was certainly not doing me any favors. And it wasn’t until I realized that today’s remote job search isn’t all about the resume, did I finally make progress. But it was a hard fact to accept. 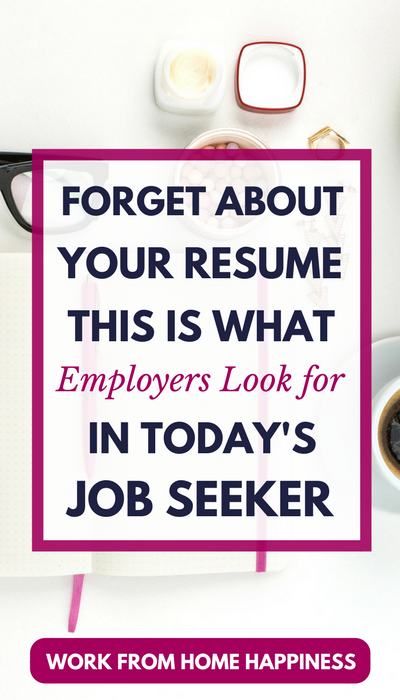 After all, for years and years, it was repeated over and over again how important your resume is to your job search. But the truth remains, your resume is only a small part of who you are as a professional. Today’s recruiters, employers, and hiring managers realize this. With less weight being placed on your resume, what, then, are recruiters looking for? Your personal brand! But before we get into personal branding for beginners, let’s look at how recruiters hire and why your resume isn’t as important as it used to be. Back in the day, your resume was super important. In fact, this one-page document could make or break your chances of getting hired. That’s why you’d spend hours and hours writing and rewriting it as you tried to condense your entire work history into neat little bullet points. Then, you’d print out your resume on fancy paper and hand deliver it to employers as you hit the pavement in search of a job. Your resume was, in effect, your introduction to a hiring manager. 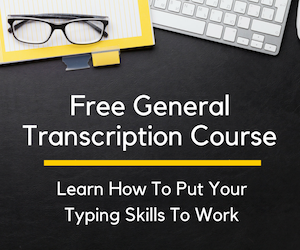 How you presented yourself on this oh-so important document could make a great first impression or land your document (and chances of getting hired) in the garbage. But that was back then. Today’s job search is a lot different, especially if you’re on the hunt for a remote job. After all, you can’t print out your resume and shake some hands with potential employers when seeking virtual work. Instead, recruiters and employers are turning their attention online when hiring, whether they’re looking for remote workers or in-office staff. To understand how to make an impact in your job search, you need to understand how employers go about hiring today. Gone are the days when the majority of job listings would find their way into the classified section of your local newspaper. Instead, employers place ads across multiple online platforms, from popular job search sites to their own websites. That means the way we apply for jobs has changed too. Instead of submitting a resume in person, most applications are submitted online. Because remote jobs are available to a lot more job seekers, the number of applications received for a single opening can number into the thousands. And, no, a recruiter or hiring manager is not sitting there sifting through the hundreds and thousands of resumes they receive. Instead, they use software to do the work for them. Specifically, employers today are using, what’s called, Applicant Tracking System or ATS to manage the hiring process. With ATS, a recruiter or hiring manager can quickly sort through thousands of applications in a matter of seconds. Most often, a recruiter will ask the ATS to find resumes with certain keywords. These keywords may be any combination of hard skills and soft skills candidates need to be successful. Often, you can find the keywords a recruiter is likely looking for by scanning the job ad for clues. Remember, a job advertisement is essentially an employer spelling out who their ideal candidate is. By pulling keywords directly from the listing and placing them in your resume, you stand a better chance of getting ‘discovered’ by the ATS. Once a recruiter asks the ATS to find resumes with certain keywords, the ATS gets to work. Those resumes with the right keywords are returned to the recruiter. The rest end up in the trash never to be seen by human eyes. Starting to see why your resume isn’t nearly as important as you thought? Of course this means your resume needs to be good enough to get past ATS. If it is, your resume can help you get on a recruiter’s radar, but it doesn’t necessarily guarantee you an interview. If you took the time to keyword optimize your resume to a specific job listing, chances are you’re going to land in a pile of other applicants with similar qualifications. Now the recruiter gets down to work determining who they’re going to invite to an interview. The ATS did the hard work of narrowing the applicant pool from hundreds and even thousands to a much more manageable number. Now it’s time for the recruiter to get their hands dirty. And they’re not paying a whole lot of attention to your resume. After all, they trust that your resume has the right stuff (the ATS wouldn’t have found you if it didn’t). And while a recruiter may scan your resume for a few seconds, its contents won’t determine whether they invite you to interview or not. Instead, employers are heading online during the hiring process. A whopping 80% of employers will google candidates before they invite them to interview. What Google says about you can make or break your chances of getting that coveted invite or getting promptly placed in the ‘no pile.’ You want to strive for the interview. But how can you make sure Google gives a positive return any time someone searches for you? That’s where personal branding comes into play. You are the CEO of Y-O-U. How you present yourself and package your professional experience is collectively known as your personal brand. From what you share on Twitter to who you follow on social media can all be summed up as your very own personal brand. When you take the time to carefully craft the right online footprint, you develop a strong personal brand. This helps you present really well to recruiters when they scope you out online. On the flip side, neglect your personal brand and you risk losing out on work opportunities, whether you’re an active or passive job seeker. And, no, you’re not at the mercy of Google when it comes to personal branding. You can control what shows up about you online. It just takes a little planning and forethought. And, in some cases, perhaps a little damage control if you’re working wth a less-than-stellar online reputation at the moment. But don’t worry, whether you’re starting from scratch to build a professional online presence or need to clean up your online footprint, there are steps you can take to create and keep a strong personal brand. The rules of job searching have changed. It’s up to you to be proactive and make the changes to stay on top in a competitive market! Paying attention to your personal brand and taking the necessary steps to strengthen your online presence, can make all the difference in your job search. 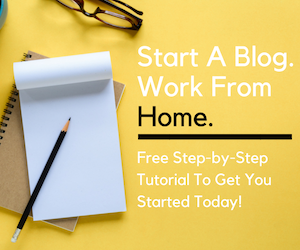 For super quick and easy tips to get started, sign up for my free remote workers library. 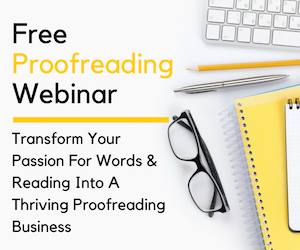 You’ll gain access to helpful freebies, including a quick-start to personal branding for job seekers.